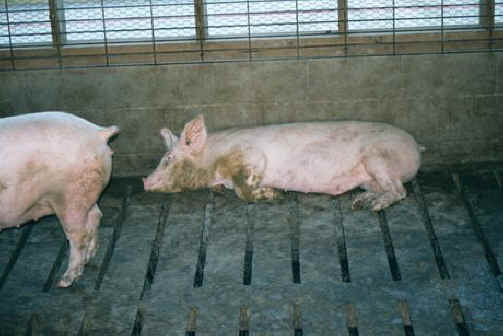 (Pig Exploitation - Factory Farming - 31) These factory farmed pigs have no choice but to lie down in each others dung and urine. We hear talk in Christian circles about a fear of hell, yet some of these same people create a hell for others. We cannot help but wonder what will happen to these people when they come before our just God.